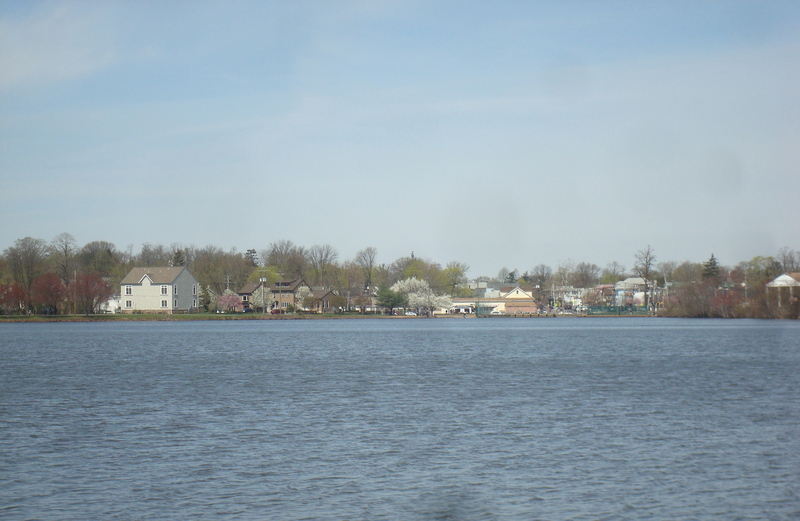 View across Lake Manalapan from Thompson Park in Monroe Township, NJ. (click to expand). Monroe Township, a town 12 miles east of Princeton, won a legal victory today, as a judge granted temporary protection from developer lawsuits. Earlier this year, the NJ Supreme Court made a ruling that would potentially allow developers to ignore local zoning and build affordable housing in towns throughout the state. But the court also gave towns the option of filing for a 5-month delay, and most towns have now done so. At the end of that period, they will have to prove that their housing plans meet the requirement of the State Constitution to provide a ‘Fair Share’ of affordable housing. If not, a judge may give developers the right to build that affordable housing under a so-called “builder’s remedy”. In the court opinion today, the judge awarded Monroe protection for 5 months, and rejected a request from ‘Monroe 33 Developers, LLC’ for a “builder’s remedy”. No “builder’s remedies” will be available during the 5-month stay, but by the end of the year, Monroe will likely be back in court. Local housing advocates at the ‘Fair Share Housing Center’ have filed a counter-suit arguing that Monroe’s Housing Plan is unconstitutional because it does not provide for sufficient affordable housing. A report prepared by land use expert David Kinsey for Fair Share Housing Center recommended that Monroe Township should build 1,000 new affordable homes to provide its share of affordable housing. Monroe has a history of opposing affordable housing, dating back to the 80s. Local municipalities will be watching carefully as they prepare new housing plans to meet court deadlines. Last week, elected officials in Robbinsville and Hopewell Boro lashed out at the suggestion of having to build much more affordable housing. Meanwhile, Princeton Mayor Liz Lempert re-emphasized how the town’s report identifying publicly-owned sites for affordable housing was a step to make sure that our housing obligation was met. But affordable housing rulings in towns like Monroe and Robbinsville could also indirectly affect Princeton. Monroe Township is within a 30-min drive of Princeton, and therefore is part of Princeton’s laborshed. New residential development could add to traffic challenges, particularly if affected towns double-down on low-density sprawl. This issue was identified years ago by the Route 1 Growth Strategy report. Also reading this week: The case for new rail tunnels from New Jersey to New York (NY Times); a computer model for how new luxury housing might reduce displacement of low-income residents (SFBARF); Seattle is considering abandoning ‘single family zoning’ to “to increase the economic and demographic diversity of those who are able to live in these family oriented neighborhoods” (Seattle Transit Blog). This entry was posted in Uncategorized and tagged Affordable housing, coah, planning, smart growth. Bookmark the permalink. It’s pretty obvious that new luxury housing, *if it provides more housing total*, will allow for more low-income residents. In San Francisco, where they don’t allow any residential building construction, one-room walkups can only be afforded by tech millionaires. Build some luxury housing and they’ll get out of those walkups and leave ’em for people with lower incomes. That’s the extreme example, but the dynamic is the same.